Yeah… It is Blogads payment day. 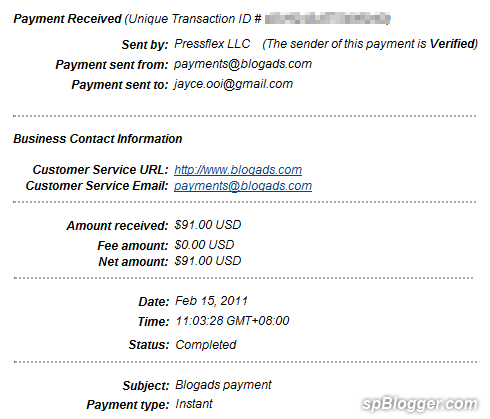 I received my 5th Blogads PayPal payment today. The earning is the still the same although traffic and page view had increased.